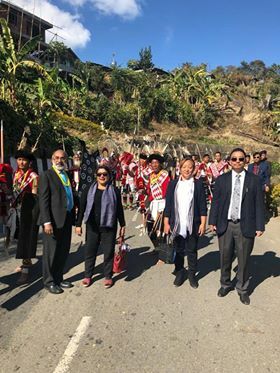 Tourism Minister inaugurated K J Alphons the Rhododendron Resort in Kohima in a bid to promote tourism in Nagaland. The resort has been developed under the Swadesh Darshan scheme by the Centre. He also announced that the Central Government is spending Rs 97 crores on two tourism projects of the State. Also, the Centre has marked Rs 1,351 crores for the North East Tourism Sector. Alphons also inaugurated the Hornbill Festival in Kisama along with Nagaland Chief Minister Neiphiu Rio. The event saw a varied performance showcasing Anami Naga culture. There are plans to develop helicopter services for places of interest in Nagaland. The project will be taken up by the aviation ministry soon.